Elites Network for Sustainable Development (ENetSuD), a Kwara-based Civil Society Organisation, has lamented the incessant vandalisation of electrical equipment across various parts of Kwara state. In a statement made available to Journalists and signed by the organisation’s Deputy Coordinator for Special Duties, Mr. Sideeq Bola Mustapha, ENetSuD noted that government properties have been poorly maintained, vandalised, and often sabotaged by men of the underworld. He further states that “in addition to series of press statement previously released by ENetSuD on the pitiable state of government infrastructure in Patigi local government in Kwara state, we are also reporting that this local government is now a hotspot for criminality and all forms of vandalisation of electrical installations. These acts have deprived many residents in the community of the very little share of their electricity supply. In one of their nefarious activities, it was also reported that the industrial oil of various transformers in Patigi Township was drained by miscreants about a year ago. In addition, the armoured cable of another transformer at Ragada village was also vandalised several months ago. 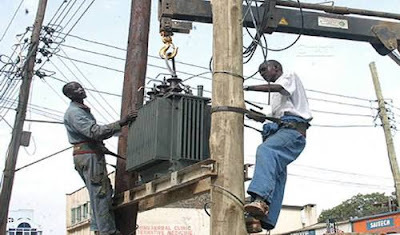 Furthermore, the armoured cables of the transformers at ECWA Church junction and General Hospital road were equally stolen by unknown persons- this happened some weeks ago”. "It might not be surprising to learn that the vandalisation and theft of Electical facilities across the state might be a sabotage that are not without the collaboration of some bad eggs in the Power Holding Company of Nigeria (PHCN) in those aforementioned communities, said ENetSuD. This claim could be substantiated with the report that the recent culprits of some electrical equipment were in the same commercial bus with Patigi PHCN manager from Patigi to Ilorin. The bus driver, on noticing the concealed large quantity of stolen PHCN armoured cables in a sack when he wanted to alight passengers in Ilorin, immediately alerted the Patigi PHCN Manager who occupied the front seat of the same bus. The driver reported the Manager to have unexpectedly taken the matter lightly and waved it off by saying “I don’t know where they could have gotten it from". Patigi residents, who have reported the matter to the NSCDC office in Patigi for investigation, condemned this act of indifference exhibited by the Manager, as he was expected to have at least questioned those culprits, seized the armoured cables and immediately alert the security agencies if they have no reasonable explanation for being in possession of the P.H.C.N materials. The Patigi branch of National Union of Road Transport Workers (NURTW) has also commendably taken proactive measures to forestall the reoccurrence of this theft by enforcing proper checks of passengers’ luggage at the garage before departure". "A few weeks ago, we were also aware of the theft of armoured cables of another transformer at Wambai Compound area by unknown criminals. Usually, every household in any area affected by unfortunate incidents of vandalism and theft of electrical facilities go through the excruciating pain of compulsorily contributing particular amounts from their hard earned income. We are lauding the intervention of the Executive Chairman of Patigi LGA, Alhaji Jibril Salihu Gabi, who provided the required quantity of armoured cables from the store at Patigi LGA secretariat for immediate reconnection to the transformers of the concerned areas, a gesture that had made the residents of the affected areas to be enjoying the very little share of epileptic power supply along with other residents in unaffected areas in Patigi LGA".